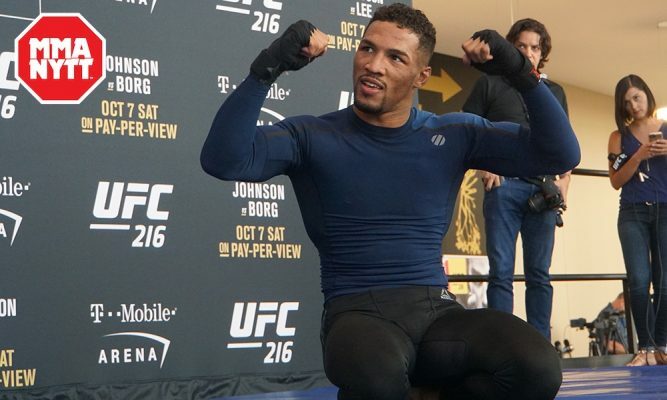 Kevin Lee says he'd rather fight Khabib Nurmagomedov rather than Conor McGregor right now and the Russian has responded. The UFC lightweight division is heating up and it appears that Kevin Lee and Khabib Nurmagomedov are the latest to express a mutual interest in fighting one another. This weekend, Kevin cornered his younger brother Keith Lee for his fight at Brave FC 14 at the Omnisports Indoor Club of Tangier in Tangier, Morocco. Keith went on to lose via a split decision (falling to 3-3), but Kevin took the time to speak to local reporter Farah Hannoun about his current status and his views on the rest of the 155lbs division. Lee, as ever, didn’t hold back and when it came to him giving his thoughts on whether he would prefer to fight Conor McGregor or Khabib Nurmagomedov and he had his own reasons for wanting to fight the Russian before taking on the former double weight world champion. “I’d rather fight Khabib to be honest,” Lee said. “Just because people see him as just this unstoppable tank. You know, Conor has already gotta couple of losses on there. So Conor takes it away from me. “To be the one to get rid of that ‘0’; Something like that only comes around once in a lifetime, specially with a guy like Khabib. Whatever the case, Lee will have to wait his turn to face the Russian with Nurmagomedov now less than 7 weeks away from facing McGregor in Las Vegas on Oct. 6.